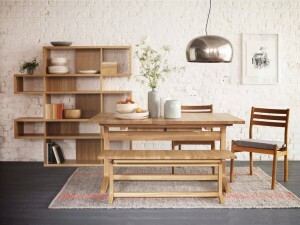 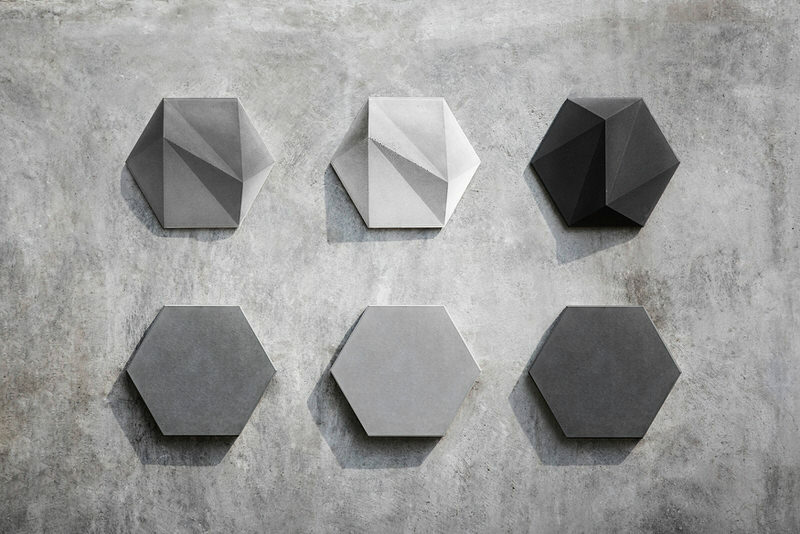 Bentu Design are a studio that seem to work exclusively with concrete and are constantly exploring potential applications for the material in surprisingly elegant ways, whether it be in lighting, furniture or as a decorative feature as we see here in San — a series of tiles with which you can create arrangements to adorn walls. 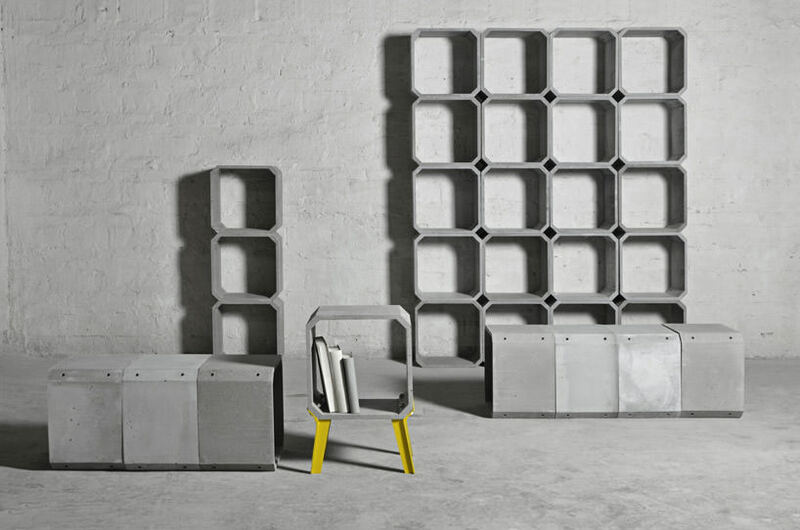 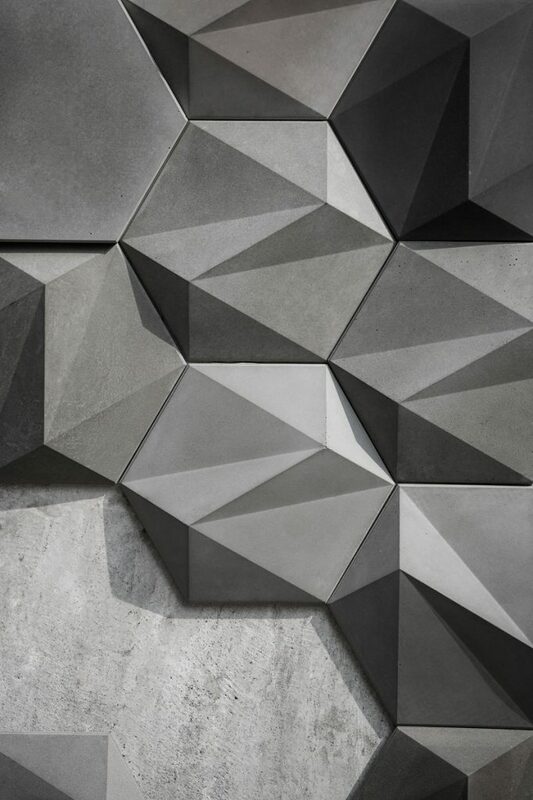 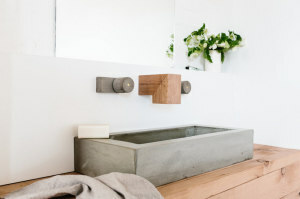 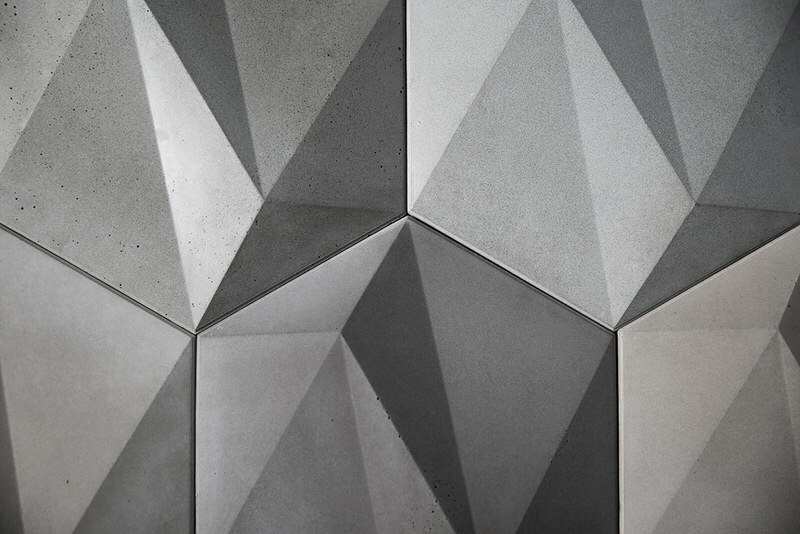 San is a collection of hexagonal concrete segments, tinted in three different shades of grey, and with two different surface reliefs: smooth, or with an angular origami-like folded texture. 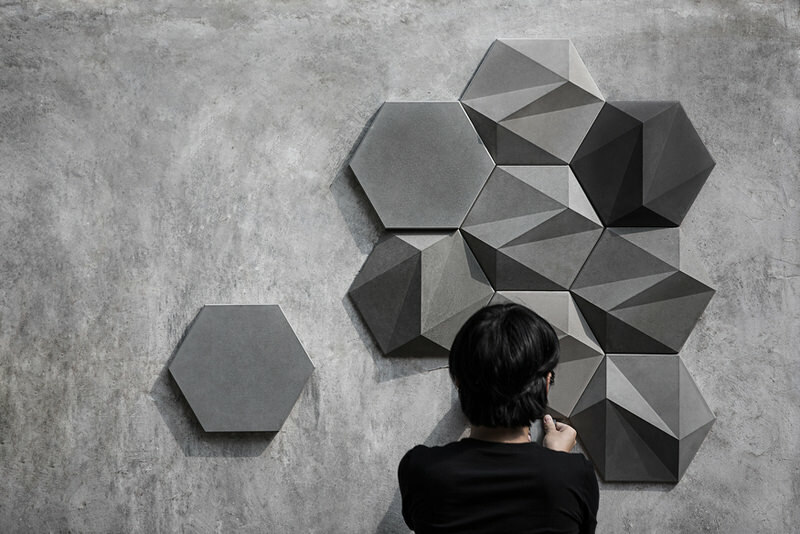 Bentu show them being arranged seemingly at random to create small irregular feature pieces, but an entire wall surface could potentially be tiled with San. 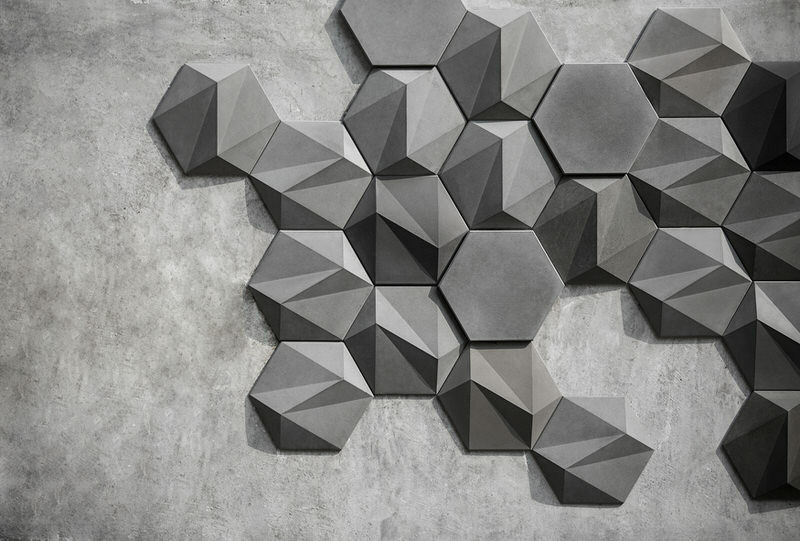 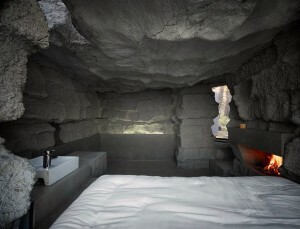 The hexagons are created using recycled concrete and meticulously poured to ensure there are no voids left when filling the moulds.